Isn’t this just a bit deceiving, United? I was just checking in for my two flights tomorrow, both of which are operated by 757s. I’m confirmed in first class on both flights, so I couldn’t help but notice the advertisements United has on the seat selection pages. 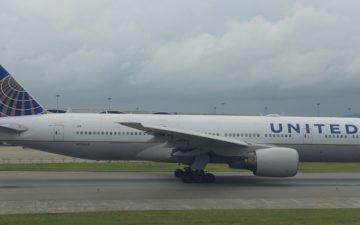 Then for my second segment, it reads “Travel in First class,” and shows a picture of United’s international first class suite. I do find this a bit deceiving, but on a marketing level, I’m amazed they can’t do a better job targeting the advertisements. Couldn’t they put an ad for Award Accelerator, a Mileage Plus Visa, or something I actually have the option of purchasing, as someone that is already confirmed in first class? It is United.bomb, after all. Sheesh, Lucky, you should know that! I looks like you picked 6C for both flights. Is that you seat of choice? @ speedy — It sure is. I like to recline for most of the flight, and I feel less guilty doing so if there’s no one sitting behind me. I used to always take seat 6B, but a lot of the time the recline was limited because the wall seems to be closer to that side of the aircraft. 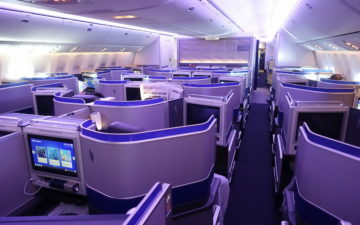 And I do also enjoy observing the whole cabin and getting out first, which is another reason I prefer row six. I’ve been sitting in 6B/C ever since you explained your thoughts on it a few years ago. The best deal is getting off the fastest from F in most airports. At SEA today the RCC Agent commented that I had one of the most coveted seats in F. Shhhhhhh don’t tell too many people or we’ll be filing it out for those seats! Domestic F on 757 is good as long as there’s no AFA’s, that’s what letting everything down. @ Gary — You don’t enjoy seeing your fellow passengers cry due to the dramatic ending of the riveting in-flight movie? Crazy! @ Josh — AFA’s? AFA=Association of Flight Attendants? Kind of hard to have a good flight without any flight attendants! You can have row 6. I’m a 3a kind of guy. Even worse, they were using the same images for my flight operated by a CR7! 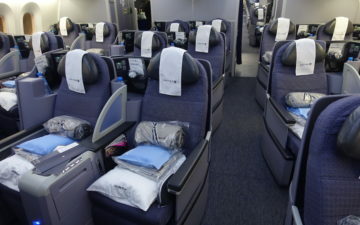 It is incorrect as not all 767s have the new first class seats. I think someone on a domestic 767 would have a legitimate gripe given that this aircraft is specifically mentioned in the ‘ad’. 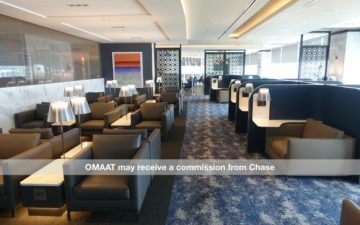 As far as the small print about it being avail on 747/767.. Well, I got the same options when checking in and I WAS flying on a 767 (domestic), so the small print is clearly not enough of a disclaimer. This is pretty outright deceptive.